Once again, HRC has prompted CBCNews.ca to amend its reporting and to publish a clarification notice to acknowledge Israel’s rationale for enforcing a blockade of the Gaza Strip, which ensures that arms (rockets, mortars, etc.) aren’t transported to Hamas terrorists. 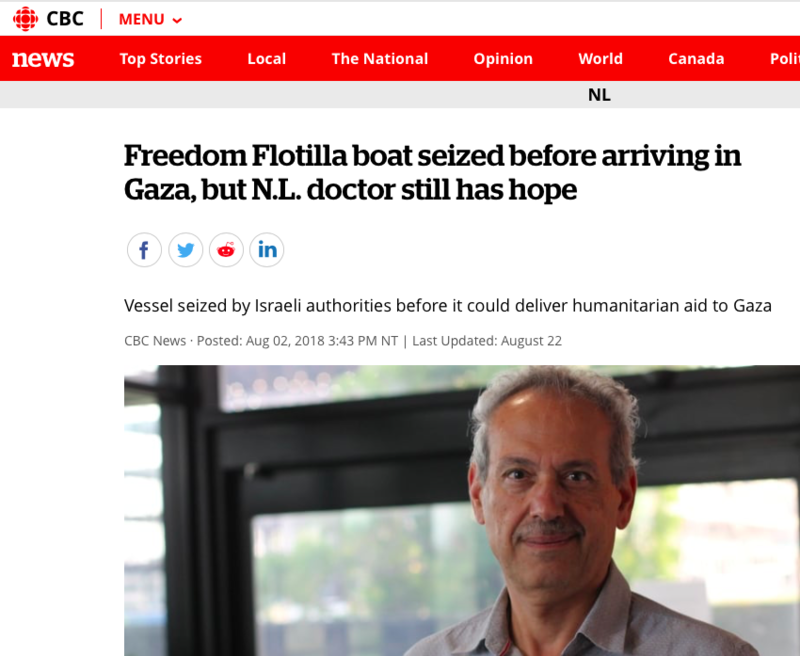 Israel’s security concerns and its reason for implementing the UN-approved legal blockade of Hamas-run Gaza were not stated in an August 2 CBC News article about a Newfoundland resident who attempted to breach the blockade on a flotilla vessel. This is now the second time that HRC has had to liaise with the CBC about its reporting on the issue which failed to mention Israel’s security concerns. On May 25, HRC confronted a similar report and the CBC instituted corrective action after our intervention. Rest assured, HRC will continue to vigilantly monitor the CBC to ensure fair and accurate media coverage of Israel.